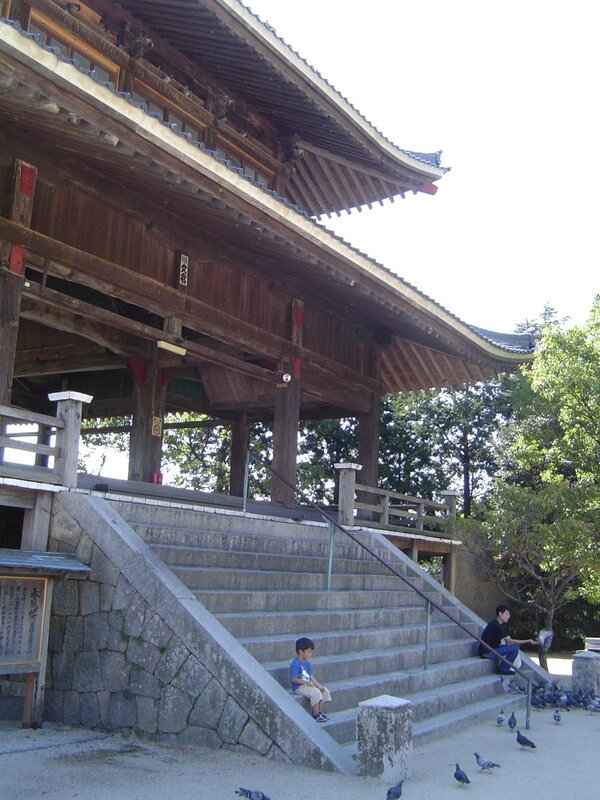 The shrine is located up a hill leading up a mountain north of the city. 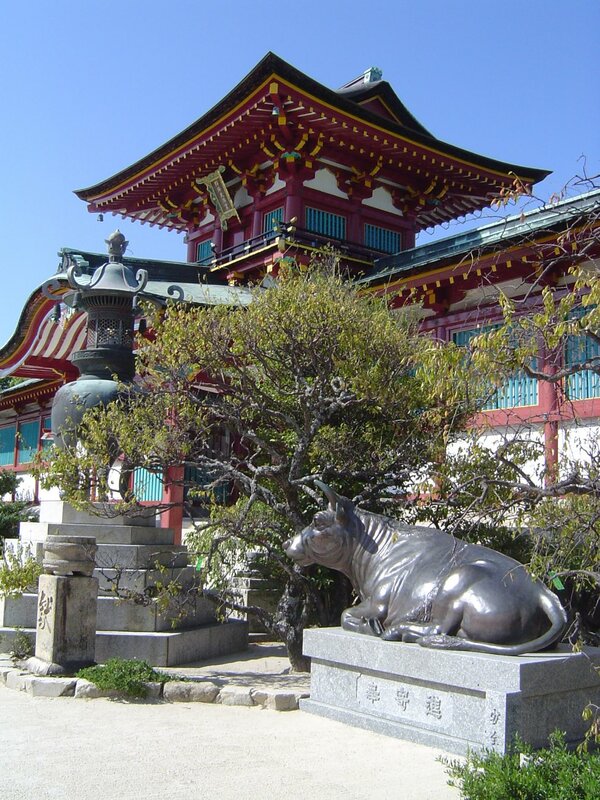 Besides the main shrine, there are a number of other buildings and gardens. There are also plenty of places to look at over the city. 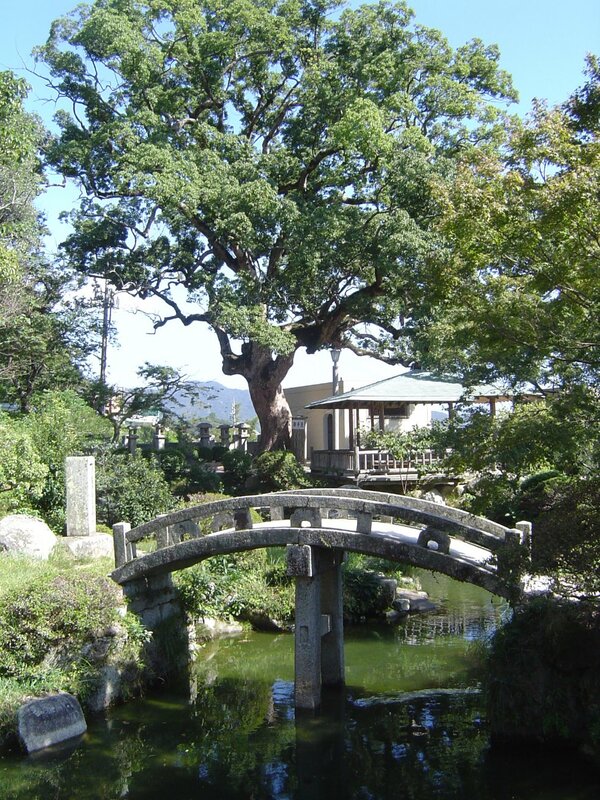 The plum was Michizane's favorite tree when he was alive and have become a symbol of the shrines. 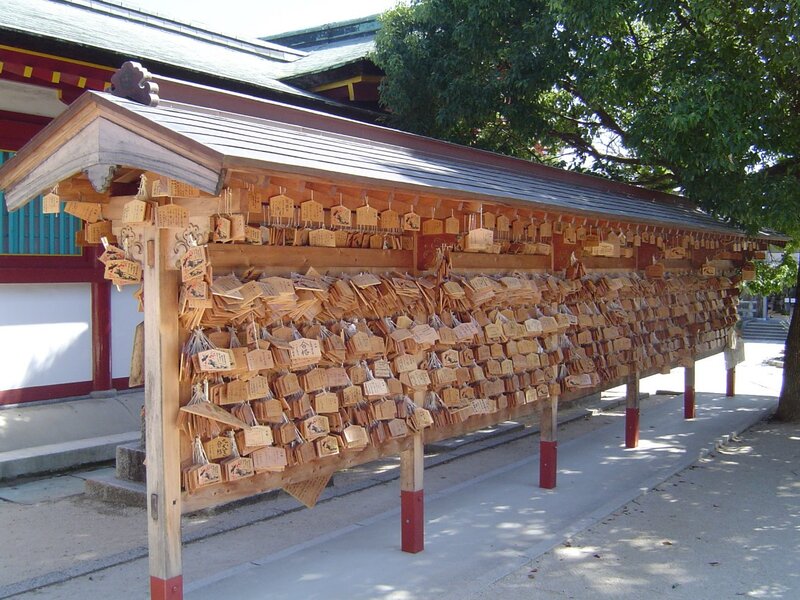 A number of his poems are carved into rocks around the shrine. 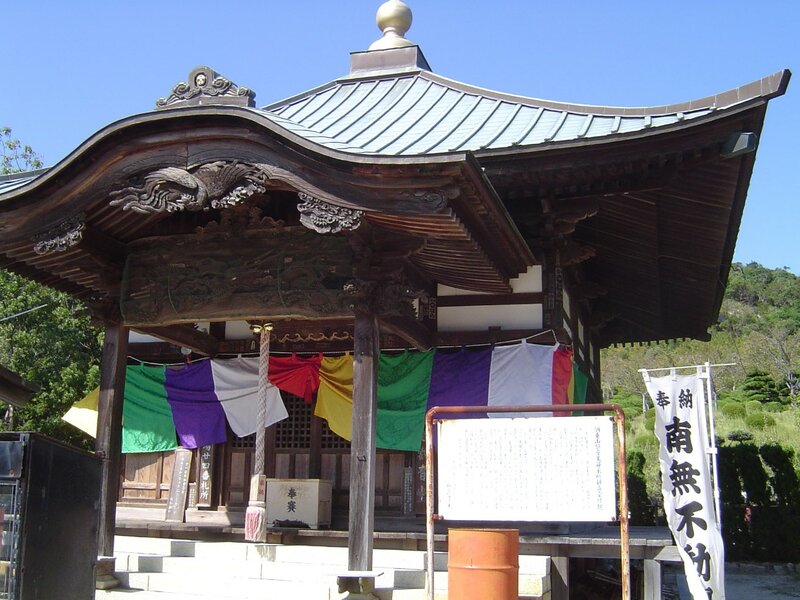 Sugawara Michizane (845 - 903), the man defied as the god Tenjin, was a well respected scholar, poet and politician in the Heian period (794-1185). 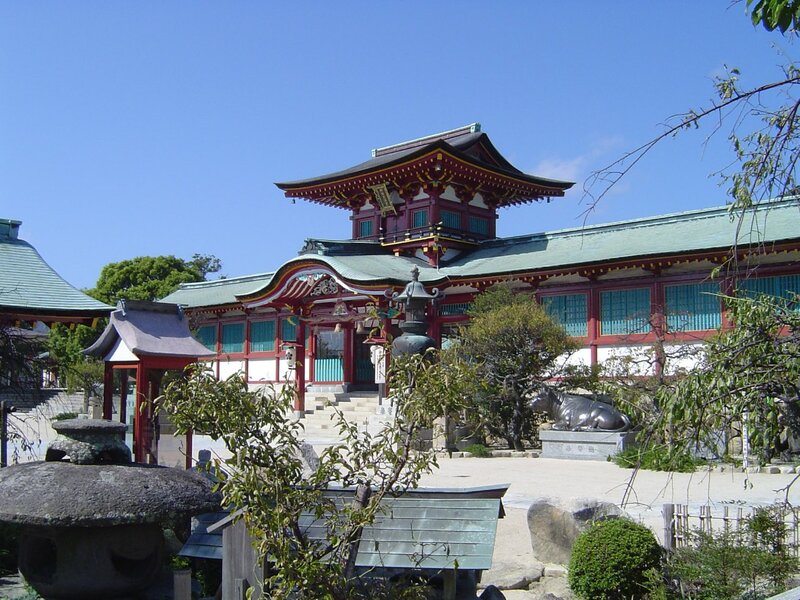 In a court dominated by the Fujiwara clan, it was only his genius that allowed him to rise quickly in court after he passed the civil service test in 870. He held numerous concurrent government positions as well as being the top scholar in Japan of Chinese literature. He eventually became one of the Emperor's top and most trusted ministers. 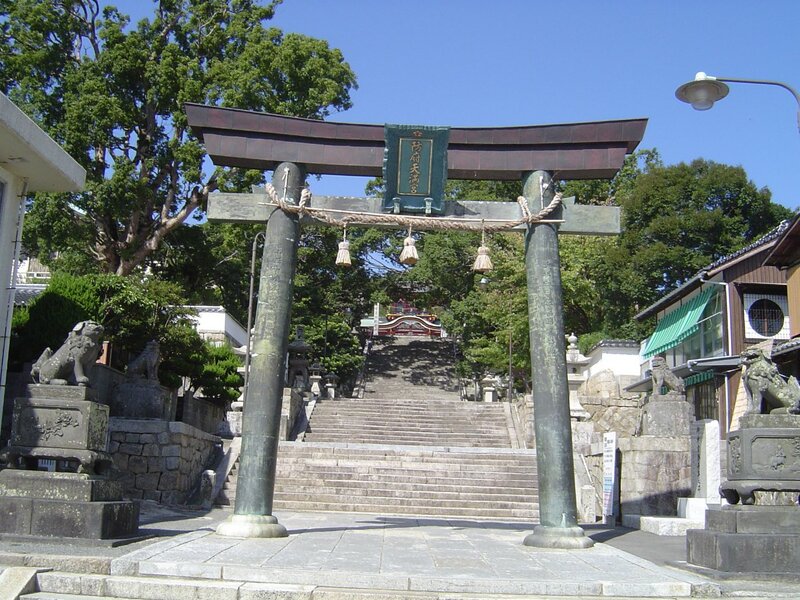 In 901, after 31 years of loyal service, his rivals succeeded in a plot to have him banished (on charges of treason) to Dazaifu, Fukuoka Prefecture. He died after two lonely years in exile. A string of droughts, illnesses, the successive deaths of crown princes were attributed to a curse laid on the court by Michizane's revengeful spirit. To appease his restless soul, his crime was pardon and he was posthumously reinstated his rank. His children were also recalled from exile to court. 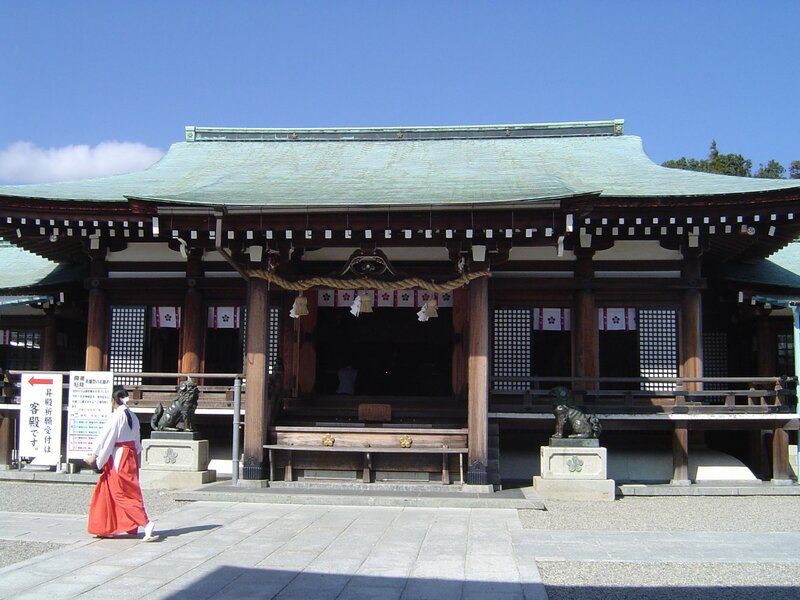 After a number of lighting strikes, the imperial court was further moved to build a shrine in Kyoto to deify him. 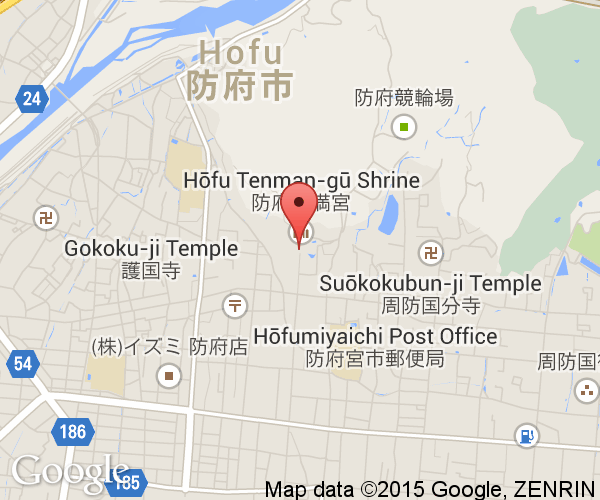 Hofu City has put up an excellent series of signs and maps in Japanese, English and Korean. 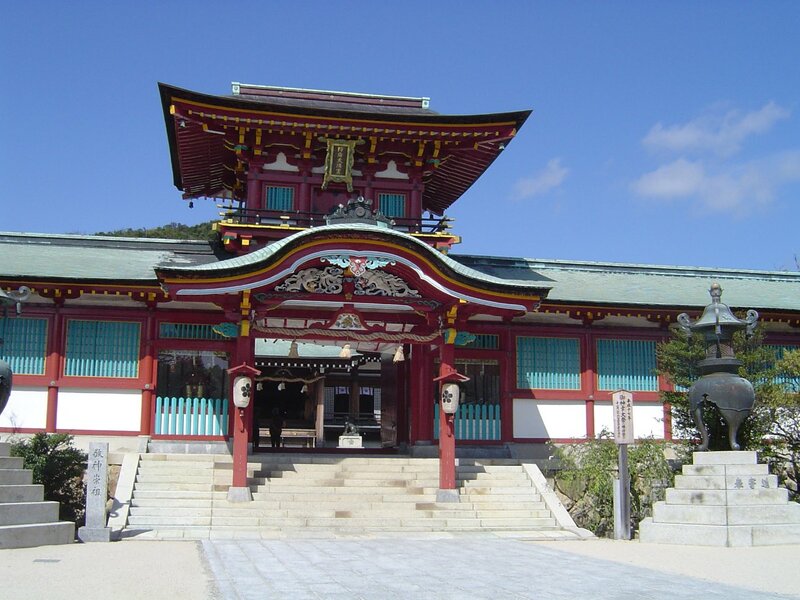 Hofu-Tenmangu Shrine is about a 15 minute walk to the northeast from the station. 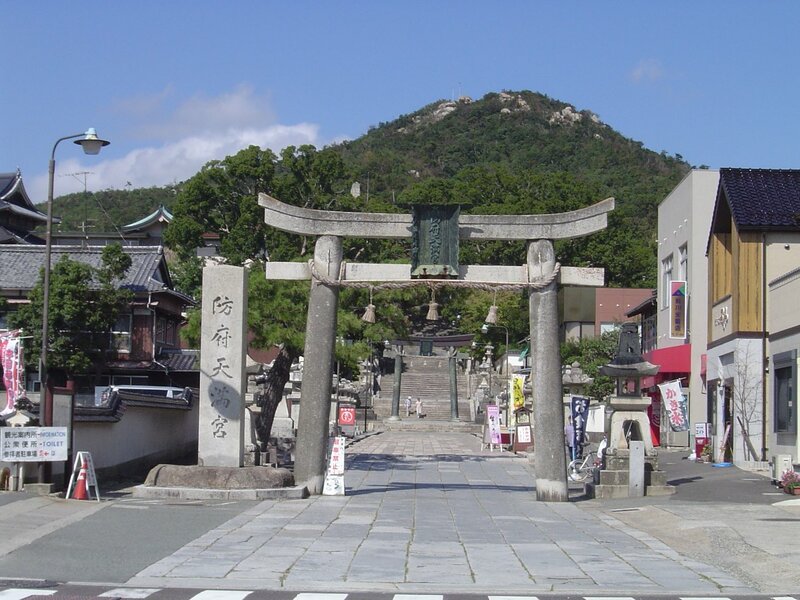 South of the shrine and towards the station is Hofu City's covered shopping arcade.